To begin to reverse what its governor, Godwin Emefiele, called “imminent recession” in the Nigerian economy, the Central Bank of Nigeria on Tuesday announced a new policy that would guarantee more flexibility in the management of the foreign exchange market. The CBN governor, who made the announcement at the end of the Monetary Policy Committee meeting in Abuja, said details of the new policy would be released in the coming days. He said the new policy would guarantee improved access to foreign exchange for business to boost the economy. Analysts believe the government is planning to officially devalue the naira from its current 197 rate to the dollar, in a desperate move to strengthen the ailing economy. Recent data from the National Bureau of Statistics indicated that the economy contracted to about 0.36 per cent in the first quarter of the year, the first time in over a decade. Experts say the economy might shrink again in the second quarter which ends in June, a development that will effectively usher in recession in the economy. A country is said to be in recession when its economy shrinks in two consecutive quarters. The CBN governor said the new policy would not involve the return of the bureau de change operators, as they would continue to source their foreign exchange from the autonomous market. 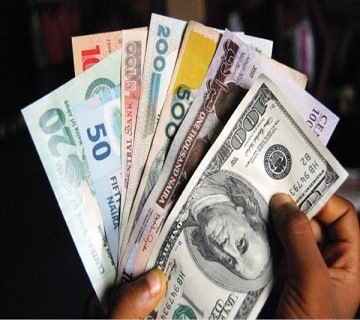 “It is time to introduce greater flexibility in the management of FOREX market,” the CBN governor said. “After assessing the various risk profiles available, the committee resolved to adopt the least risky option by adopting a flexible foreign exchange policy to restore the automatic adjustment properties of the exchange rate. During the meeting, monetary policy rate, MPR was retained at 12 per cent; Cash Reserve Ratio, CRR at 22.5 per cent and liquidity ratio at 30 per cent.